In terms of temperament, they were opposites: one a paragon of cool containment, the other a volcano of visceral emotion. But they had something in common: they were the best. Featuring immersive performances from Sverrir Gudnason, Shia LaBeouf, and Stellan Skarsgård, BORG VS MCENROE is sports drama as psychological thriller. Helmed by Danish director Janus Metz, the film recreates the legendary 1980 Wimbledon Championship match between tennis savants Björn Borg and John McEnroe, as well as the media frenzy surrounding it and the private angst experienced by the players and their coterie. By 1980, Sweden's Borg (Gudnason) has already won Wimbledon four times. He is 24 years old, adored, wealthy, and engaged to be married. Yet despite his serene public persona, Borg has been tormented by anxiety all his life. His opponent, New Yorker John McEnroe (LaBeouf), is a wizard on the court, a whirlwind of fury and precision. The public loves to loathe McEnroe, who on the court can explode at any moment into tantrums of expletive-laden insults directed at umpires and spectators alike. But McEnroe also suffers mental anguish. Both men will bring their immense talents—and inner demons — with them when they finally face off in one of the most suspenseful events in tennis history. 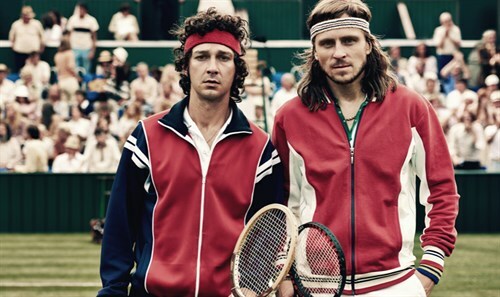 Darting between evocative flashbacks and an electrifying present tense, BORG VS McENROE thrills us with feats of athletic mastery—and activates our empathy with insights into what it takes to win. © 2006 - 2019 TicketsNashville.com. All rights reserved.